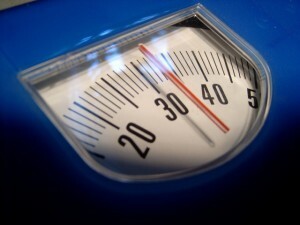 Frustrated about the numbers on the scale and baffled by your reasons for weight gain in recent years? You aren’t alone, and the answer to that question isn’t always simple. However, weight loss advice is rarely applicable to every single person, so it’s more effective to look at the reasons someone has started putting on weight and how to address them. And a lot of reasons for weight gain can be traced back to changes in life events. Think about the last time you were happy with how much you weighed. Were you much younger? In a certain age range? In school? Now, begin to fast forward and think about when your weight started to change in a big way. Did it happen quickly or over a longer time period? Now, consider these common life changes when most people tend to gain weight. Which one do you identify with most? We’re all familiar with the “freshman 15,” right? Being in college can set you up for weight gain because you’re away from the rules at home and can make your own decisions about what to eat and when. Plus, college usually involves a lot of drinking on the weekends, which can pack on the pounds really fast. In fact, studies have shown that freshmen in college can gain as much as half a pound per week, which is really fast compared to the rate most adults gain weight. We all generally get more comfortable after tying the knot. The pace of life changes as you begin to settle down into a life with your husband or wife. Plus, younger marriages happen just as both people are really falling into the responsibilities of adulthood, which can lead to more stress—thus more prevalent weight fluctuations. This one is really common. A lot of women report trouble getting rid of the extra pounds they gained during pregnancy. Your body and hormones are changing, and once the baby comes, there’s less time to fit in workouts or focus on prepping healthy meals. And pregnancy weight is not always exclusive to the pregnant person. it’s not uncommon for spouses to gain “sympathy” weight from indulging in richer foods with their pregnant partner. Plus, most people are likely encouraging you to eat, eat, eat—even though it’s a myth that you have to literally eat enough for two people. Diving into a job that becomes your career is often a shock to the system at the beginning. You can go from having more freedom and activity during the day to sitting behind a desk for eight hours… not counting the commute. Stress can also play a role. How did your eating habits change during that time in your life? Did you go from eating more at meal times in college? Eating fast after having a baby? More comfort food after starting a job? Think about these changes, then try to focus more on cleaning eating and read these tips about killing your cravings. And don’t forget about supplementing your diet. Due to modern food processes, even healthy foods may not be as rich in vitamins as they need to be. Add a high-quality organic fulvic acid supplement, like Mimi’s Miracle Minerals, to your daily diet for optimal results. What type of activity level were you at before your life-changing event happened? It’s likely that you were more active each day. Consider what has changed, and figure out little ways you can add more activity into your day now. You might need to start with simply walking 10 minutes a day when you can or doing 10 minutes of weight lifting. If all you can do is quick at-home workouts, that is more than possible! Whatever has happened in your life that led to weight gain, it’s likely pretty common—which means there is a solution! Take some time to examine what’s changed and work towards incorporating more healthy habits back in.